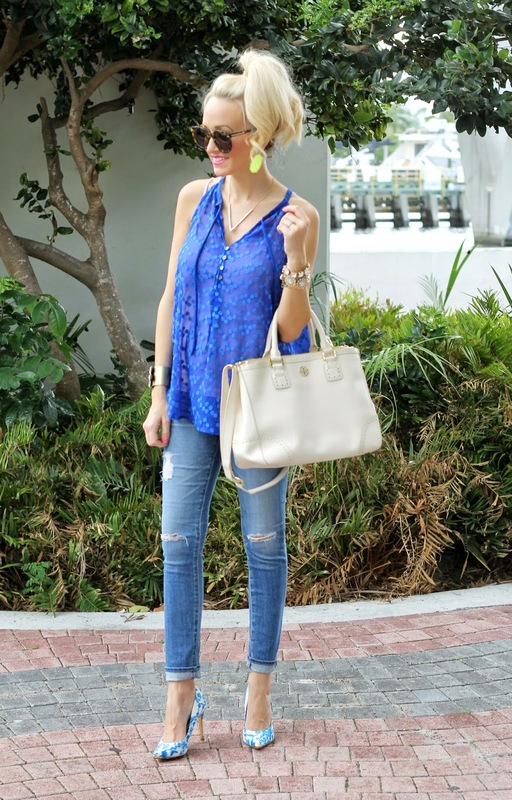 More blue for you today... Flowy, loose tops and maternity jeans are my best friends right now. Both are so comfortable. And these are by far my favorite maternity jeans. 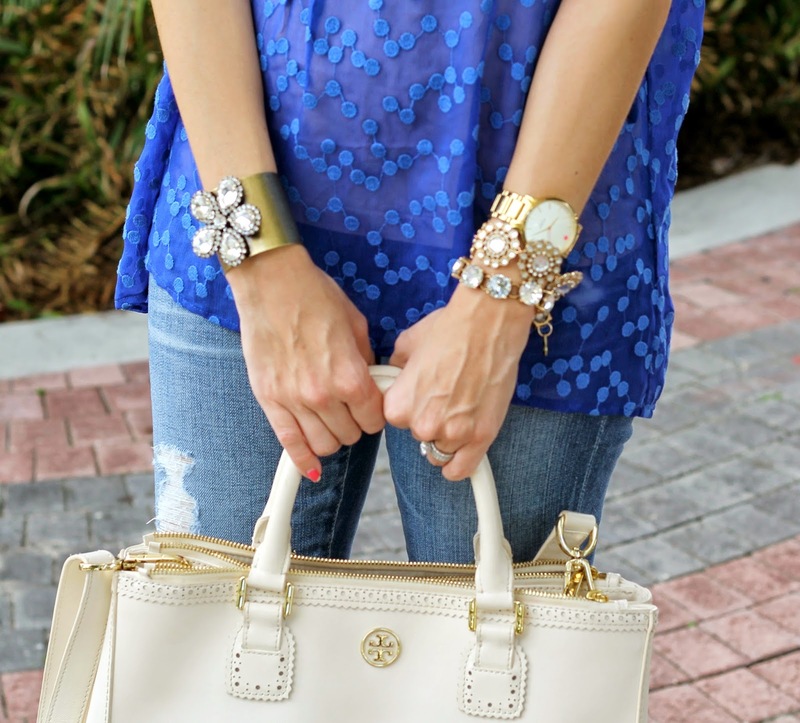 I love this blue Anthropologie top! I went up a size so it would be long enough to grow into. I love Anthropologies sale. They have so many great cute pieces at such good prices. Fab look, love the heels! I just adore this top! It reminds me a lot of a bell shaped dress they had a few years back that was so soft! Great find! Love that top and those shoes are such a great match! Cute earrings. Love the yellow. Love all the colors incorporating into this! The earrings and shirt are perfect. that top is pretty amazing, but those shoes steal the show! I absolutely love them. Those shoes are gorg, and I can't get enough of the Kendra Scott. What a gorgeous color for your earrings! I love blue and yellow together and those earrings are everything! Plus I love the shoes! I love this top!!! This outfit looks adorable on you, you are glowing! !